CALVIN & HOBBES FORUM: THE ONE AND ONLY ONLINE! All of the links above have been updated and revised. Please feel free to visit them any time you'd like. Just as a note to our readers, I do not make any profit from this site, nor will I ever. I'm just a fan, like you, and I hope that together we can all share the special bond that is....Calvin and Hobbes. 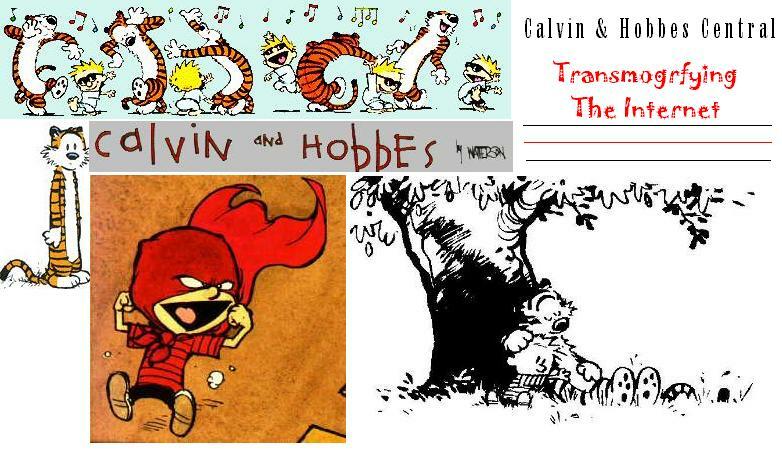 Rumors of a Calvin and Hobbes movie continue to be seen about the interent. No official word has been given, only rumors. If there are any updates on this story, it will be posted here. Since Calvin & Hobbes has been gone for six years now, updates are hard to come by. The last news of the strip was the announcment of the release of the new book "Calvin & Hobbes Sunday Pages." This book was released in September of 2001. I will update this page whenever possible, but again, there is not much to report. Until then, the list of links above will be growing and growing, so visit back often. Be sure to visit Calvin & Hobbes Central's messageboard/Forum. 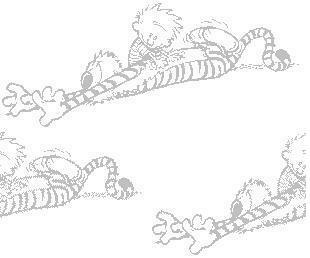 This is the one and only place online for Calvin & Hobbes fans to have a frank discussion of ideas. Be sure to stop by before you go. It is the ONE and ONLY thing like it on the internet, so don't be shy to show yourself. Calvin & Hobbes Central has been visited times since May 8th, 2002!